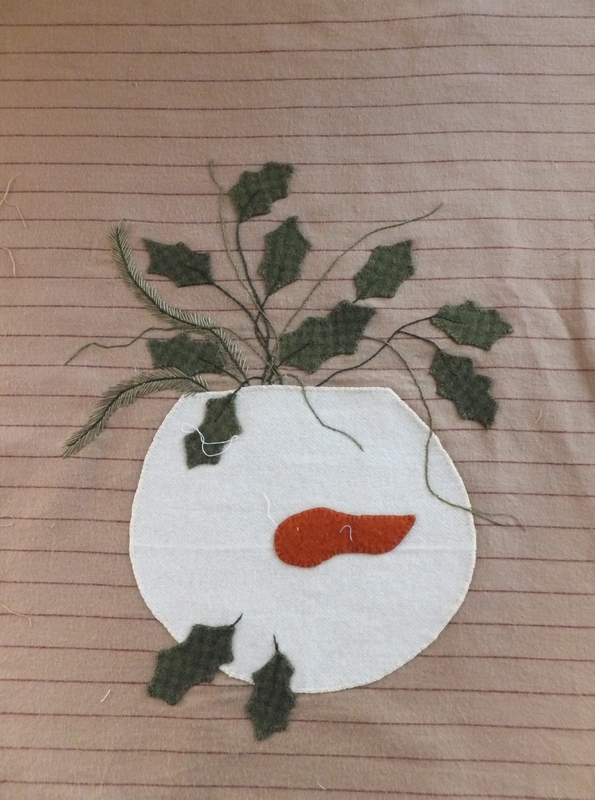 In Berlin, Oh there is a shop called “The Country Craft Cupboard” and this is where I purchased the pattern for this wall-hanging. They have a great selection of wool, fabric and all things crafty! It is worth the trip if you are ever in the area. I purchased the pattern in 2009 and when my guild decided on the UFO challenge I knew this was one of the projects I would list to complete. 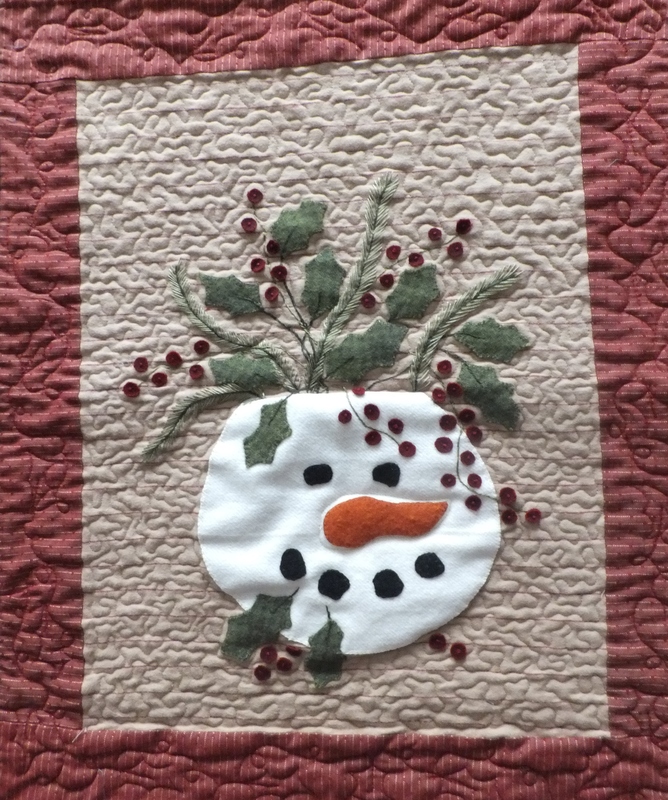 The snowman and the leaves and berries on this wall-hanging are done in wool. 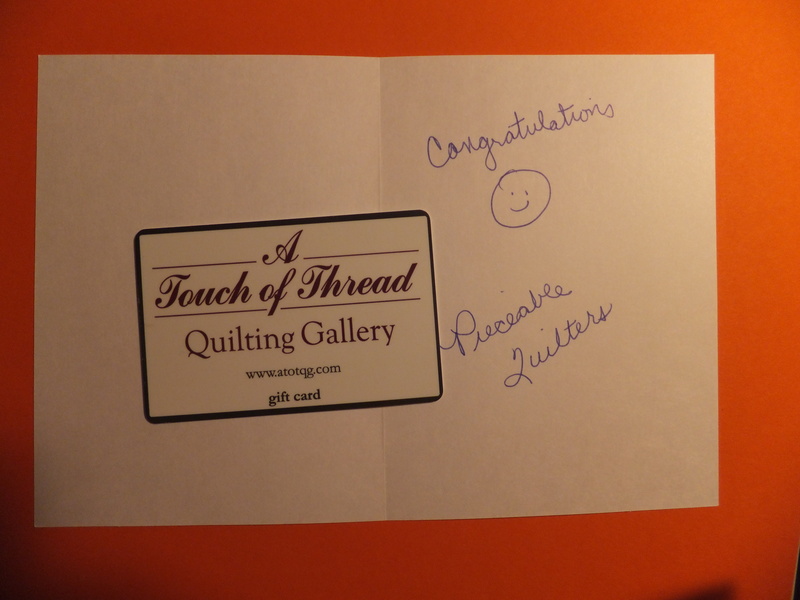 I won a gift card to a local quilt shop….Yea! !